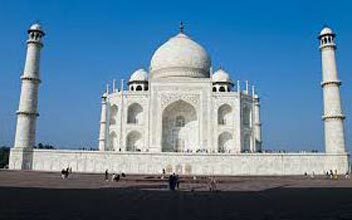 On your arrival in Jaipur, meet our tour representative who assists you in the tour further. Jaipur is the capital of Rajasthan state and is often addressed as Pink City. The city is adorned with Mughal Architecture at its best, like Amer Fort, City Palace and Albert Hall. You are transferred to a pre-booked hotel where you check- in and unwind. Rest of the day is to be spent at leisure. Partake in the activities of your interest. Overnight stay in hotel. 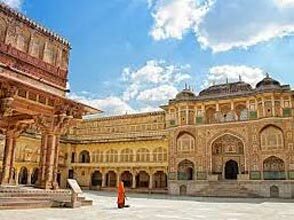 After breakfast, you are going to visit popular attractions of Jaipur. One of the foremost attractions lined- up for the day is Hawa Mahal; built mainly from red-sandstone for the women of regal household so that they could behold the bustle in the markets around it. You can get the best Rajasthani handcraft, clothing, souvenirs, jewelry etc here. So you might as well indulge in shopping. Other spots to be visited are Amer Fort (One of the most magnificent creations of Rajasthani rulers located on a summit, dating back to 1592), Jal Mahal (Amid Man Sagar Lake, this fort was built in the 18th century and feels equally haunting and enchanting), Nahagarh Fort (built mainly as a summer retreat, this fort surely offers the best view of Jaipur City) and other attractions. After Jaipur sightseeing, head to Chittorgarh and check in at a hotel as you reach. Overnight stay in hotel. 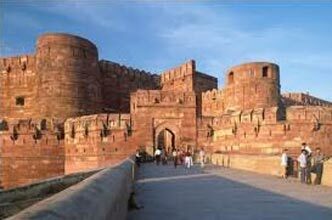 Start your day with hearty breakfast and head for Chittorgarh sightseeing. One of the prime locations of Chittorgarh scheduled for the day is Chittorgarh Fort (The largest fort of India and former capital of Mewar, this fort lies on a hill-top and has several palaces, gates and two towers). The fort’s major highlights are Kirti Stambh, Vijay Stambha, Rana Kumbha Stambha, Fateh Prakash Palace, Gaumukh Reservior and Padmini’s Palace. After this, return to your room and stay overnight. Have breakfast, check out from the hotel and leave for Ranthambore National Park. It takes five hours to cover this distance. On reaching, check in at your hotel room and relax. Rest of the day is to be spent at leisure. Overnight stay at hotel. Get ready for an enthralling wildlife safari after breakfast. 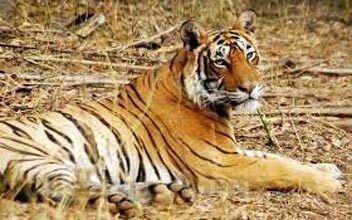 Ranthambore National Park is amongst the biggest and most popular national parks of North India. 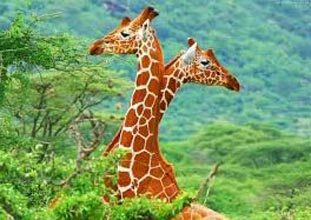 Sprawling over 392 km sq of area, this national park is affluent in terms of flora, fauna and avifauna. And you have a fair chance to catch a glimpse of wild animals like nilgai, leopard, sloth bear, chital, wild boar, sambar etc. The park has one of the largest banyan trees in India. As the day comes to an end return to your room for overnight stay. The tour is concluded on the sixth day. Have your breakfast and check out of the room. A timely transfer is arranged to the airport/railway station for your onward journey. Destinations Covered : New Delhi, Jaipur, Jaisalmer, Jodhpur, U..